ANPR is one of the few security solutions that has seen growth during the last couple of years. Not just growth but exponential growth! Why is this? Well the technology has improved dramatically and automatic number plate recognition (ANPR) is no longer a hit and miss affair. Software advances have seen plate capture at around 97-99% and this means that it’s not just the police who are making use of this technology. So how does it work? Well firstly you need a specialized camera. 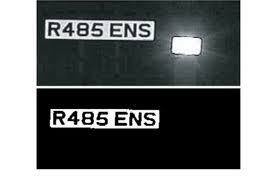 High shutter speeds and pulsed IR mean that even at speeds of up to 120 miles an hour a clear image of the numberplate can be captured. At this point the software takes over processing the image into usable data and stores this onto a database. So what applications can this relatively new technology be used for? Of course crime prevention comes immediately to mind. The ability to network a series of ANPR cameras across the transport network means that vehicles can be accurately tracked this information tends to get used in anti terrorism operations and murder investigations. We then of course know that ANPR cameras and software are remarkably brilliant at issuing us speeding fines most people will have seen the images and realized that it is pointless appealing against you fine…very frustrating. 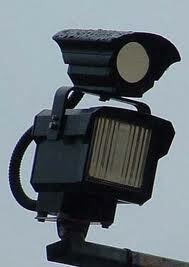 However ANPR cameras are now being used for commercial gain and this has seen an explosion in their popularity. Have you seen the signs now in the big car parks such as Tesco, Asda, B&Q and the list goes on? These car parks are controlled by ANPR cameras that capture your plate on the way in and capture it again on the way out. If you have overstayed the stated time on the signs your plate is queried with the DVLA and a fine automatically issued to your address. Car park management is now big business. Big organizations such as Welcome Break, Tesco, Macdonalds etc all use ANPR to control traffic stays within their carparks the reasons are simple, either a) They receive money for people parking beyond two hours in the form of fines or b) at the very least keep their car parks clear for customers that are actually at their premises spending money rather than those who have abandoned their cars in the car park in order to hitch a lift from a colleague into work. It’s a win win situation for anyone who offers parking for their customers and the car park management companies who administer and profit from the ANPR induced fines. Access control is also another use for ANPR camera systems. The ability to open a barrier for only those number plates on the database restricts access and controls security. Access can be given for set periods of time meaning out of hours access is also restricted. Mobile ANPR cameras are the going to be the next big thing especially amongst asset recovery services so watch this space on that one. So it seems that ANPR cameras are on the increase and legislation is fairly loose in terms of who can use the data. So for now we will all have to accept that where ever we go someone will be watching our every move!! This entry was posted on Thursday, February 24th, 2011 at 06:15	and is filed under ANPR. You can follow any responses to this entry through the RSS 2.0 feed. Both comments and pings are currently closed.